VR could be set to steal augmented reality's thunder by mixing virtual graphics with real world environments. Real Virtuality is a 'mixed reality' system that lets users walk around a virtual - and physical - space untethered thanks to a backpack computer. The project is the work of Kenzan Technologies and the Artanim Foundation and is a finalist in the SIGGRAPH 2015 Immersive AR and VR contest. 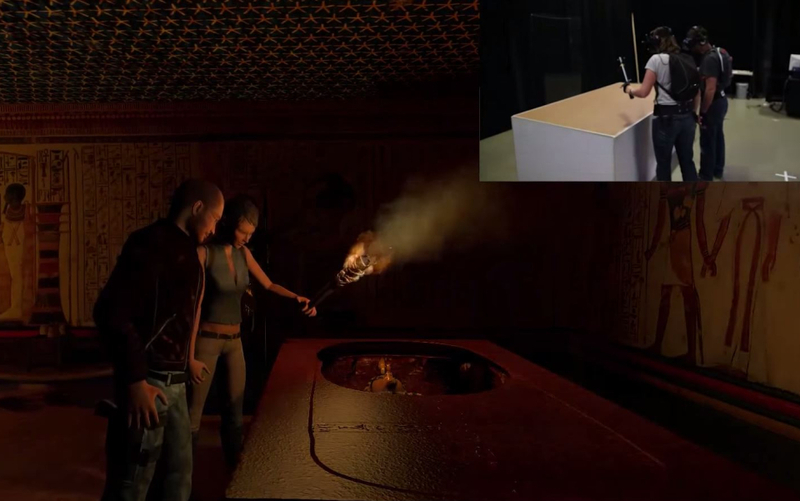 Users wear VR headsets and the movement and placement of their hands and feet is motion captured as well as props and other players who appear as avatars. Players are equipped with specially marked gear, which mark their heads, hands and feet, adding to the immersive real-time feedback when moving and interacting in the 3D space. With the amount of set up and space needed, this technology probably won't find its way to our home but as a social gaming experience this is an exciting project. This is similar to the Utah-based startup The Void which is building physical stages and rooms for gamers (wearing VR headsets) to interact and roam around. "This platform is particularly suitable for museum applications such as the visit of long lost historical sites – e.g. Maya temples, Roman cities or the experience of seminal moments in a country's history; famous battles, key political moments." While AR obviously also has a place in those sorts of scenarios, the Artanim Foundation's website also says that the project is still working to at develop a solution which tackles many of the remaining VR challenges including high rendering quality, quicker setup time and flawless interaction with real world objects. This social branch of VR still needs time to mature, but when it does finally release we're in for some incredible new games and experiences.